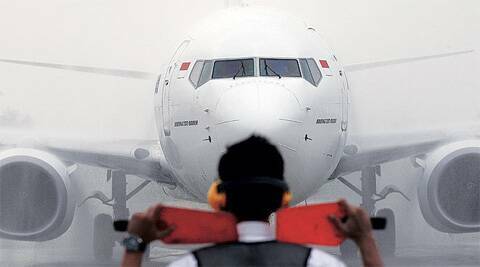 US Federal Aviation Authority had downgraded India’s aviation safety rating for first time on Jan 31. Civil aviation ministry hopes to regain its Category 1 air safety rating in about 6 months’ time after the FAA downgrade. India hopes to regain its Category 1 status on air safety from the US Federal Aviation Authority by June, which would make it one of the fastest reinstatements. The civil aviation ministry would ask the FAA to conduct a fresh safety audit of India’s aviation watchdog Directorate General of Civil Aviation (DGCA). The FAA had downgraded India’s aviation safety rating for the first time to Category 2 on January 31 citing inadequate oversight mechanism and lower staff strength with the DGCA to properly monitor the safety performance of Indian carriers. A senior aviation ministry official told FE an internal review meeting was held on Friday, adding that the remaining issues highlighted by the FAA would be resolved in about a month. Of the 31 issues originally raised by the FAA in its audit of the DGCA last September, two issues remained as of January — the appointment of 75 flight operations inspectors (FOIs), and the training of an adequate number of airworthiness officers for new aircraft. “There is still some time left for fresh applications for the FOIs and we aim to scrutinise these applications in a week. It should take us about five weeks to complete the appointment of the 75 new FOIs. As for airworthiness officers, training will be completed by this month. We have launched a campaign to fill all the vacant posts in the DGCA, about 73 people have joined, and around 40 more will follow,” the official said. “After we complete the process at our end, we will verify with external experts if we are meeting all the requirements of the FAA. After that, we hope to ask the FAA for a fresh audit in June,” the official added. Apart from impacting the country’s self-esteem and business sentiments — Category 2 puts India below Pakistan and in the same bracket as Indonesia, Zimbabwe and Paraguay — the downgrade also means that Air India and Jet Airways cannot add any new flights to the US. Existing codeshare pacts for Jet with US-based airlines also stand suspended, while there is a looming threat that aviation regulators from the European Union, Japan and other developed nations may follow the FAA with further downgrades. There is also a worry that a downgrade might impact Air India’s integration plan with Star Alliance that is expected to be completed by June. At the time of the downgrade in January, union civil aviation minister Ajit Singh had said that he was disappointed with FAA’s decision, even as he expressed hope that the matter would be resolved soon. “This is very disappointing and surprising. The report has not taken into account the progress made since December. We are hopeful when we complete the training of the inspection officers by March the FAA will review this. DGCA will be in touch with them on every step and discuss technical issues continuously. As soon as it is established that we have met all the requirements, India can regain its position,” he had said. Since the downgrade in January, the DGCA has turned the heat on US aviation companies. Earlier this month, it warned Boeing that it could take “any action” if teething problems with the its Dreamliner aircraft in the Air India fleet were not fixed soon. In February, it also grounded a United Airlines flight from Newark to Mumbai citing damages to the engine cover. While India’s civil aviation ministry hopes to regain its Category 1 air safety rating in about six months’ time after the downgrade, other countries in a similar position had taken a longer time. Israel took four years to regain the Category 1 status after a downgrade in 2008, while it took Venezuela 11 years after a downgrade in 1995. However, Mexico and South Korea were able to get an upgrade with a year’s time.